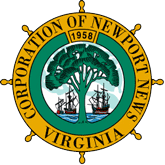 The North End Huntington Heights Preservation Association is a privately funded, not-for-profit entity and not affiliated with the City of Newport News government. Though NEHHPA does communicate and advocate on behalf of the neighborhood as a whole with the City we are not a provider of public services. This page is intended exclusively for informational purposes to connect residents of the historic district with various City departments and services. Regular garbage (green can) is collected on Wednesdays. Recycling (blue can) and bulk waste is collected every other Wednesday. Of course, in the event of an emergency dial 911! For non-emergency police services, call (757) 247-2500. We are served by the South Precinct, Beat 12, reporting areas 7, 9, and 10.